Christopher Cho, a Saskatchewan-transplanted restaurateur and Future 40 winner, says cheers to the future with new, Italian spot Little Grouse —a spot that only serves barrel aged cocktails. Christopher Cho knew he loved the food industry as a teenager. Growing up in Ontario, working part-time jobs in restaurants, he decided to pursue his passion seriously by studying the industry post-high school at Fanshawe College in London, Ont. Throughout his studies, The Food Network provided plenty of fodder for his culinary daydreams. "Following all the top chefs and the stars and expanding my knowledge of foods and restaurants and, it was just something that I never wanted to stop learning," Cho said. "To see the accomplishments that a lot of Food Network stars would acclaim, it was something I thought for myself, 'I would love to be in the forefront of.'" Armed with new knowledge and ideas, Cho said he jumped on the first opportunity to realize his dreams. It was, admittedly, a big jump. "When I was living in Ontario I saw on the news, on the internet, that this three Michelin Star chef, Daniel Boulud, was opening a restaurant in Vancouver, and it was something I wanted to be a part of." 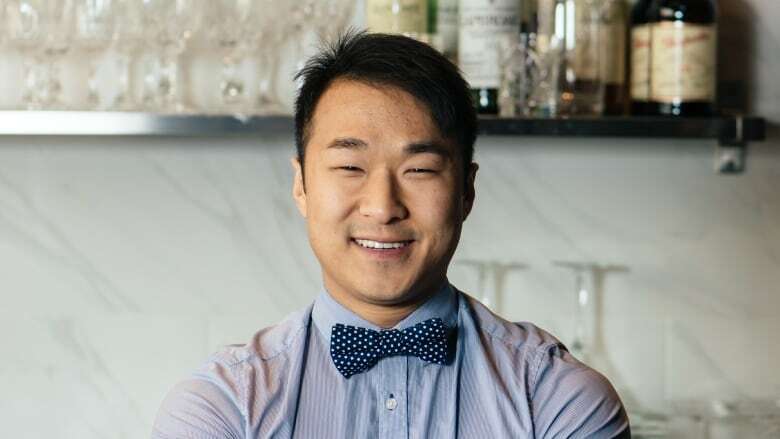 Cho did some more research and found out that Dale MacKay, who is now Cho's business partner at Ayden Kitchen and Bar in Saskatoon, was also in on the new Boulud venture in Vancity. "Out of pure fate and luck, I just booked a flight and knocked on the restaurant door at Lumière in Vancouver and I was lucky enough that Dale MacKay opened the door for me," explained Cho. The chance Cho took paid off. Although all of the positions at the prestigious restaurant were filled, Cho talked his way into a stint working for free. After a week, he was hired. Throughout his time working in Vancouver, Cho said he hit it off with MacKay. The pair quickly became good friends and begun spending their free time conspiring to bring a fresh, culinary experience back to MacKay's hometown of Saskatoon. In 2013, MacKay —who was the first Canadian chef crowned Top Chef— Cho and a team of culinary masters opened Ayden Kitchen and Bar. Since opening, the restaurant has received praise from critics and put Saskatoon on the map. 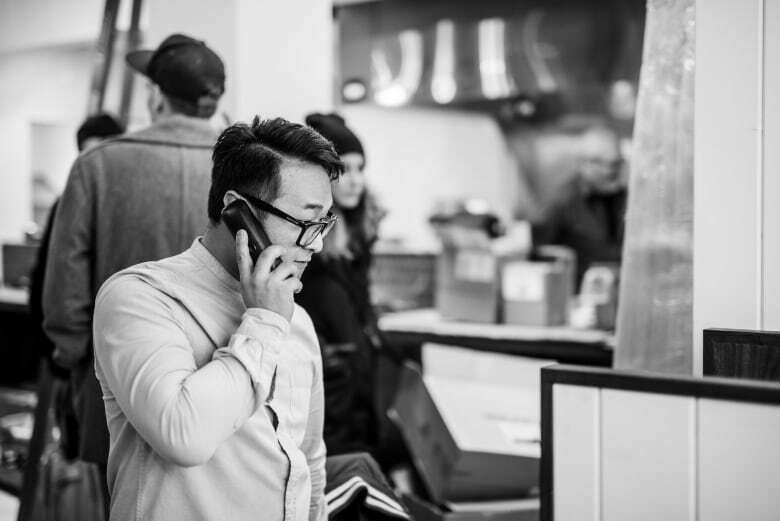 Cho sees his approach to dining, through Ayden, as "revolutionary." "I see Dale as one of these big name chefs ... it gives you a different experience," he said. Cho is hoping to parlay the success of Ayden into a new, Italian venue, just down the block from the Ayden's current spot. Cho's new, 36-seat restaurant, Little Grouse, opened at the end of February. As a mixologist, Cho is excited about the different approach to beverages available through the Little Grouse's exclusivity to barrel aged cocktails. "So, you can't sit down at the bar and order a Caesar or a dry gin Martini," he said. "I don't even know of one restaurant that just does barrel aged cocktails. So, it's a new thing we're trying to implement into the city, or across Canada for that matter." On mobile and cannot view this video? Check it out here. Cho, who is a 2015 CBC Future 40 winner, said he is staying put in Saskatoon. "It is such a comforting feeling, especially as I am not from Saskatoon, and knowing that my travels from Toronto, Vancouver, to Calgary to here, has made a mark. It has made a difference," Cho said. Cho said he went from knowing no one in Saskatchewan's biggest city, to feeling like he belonged. "It's awesome that people on the street would stop me and say, 'Hey, congratulations on the Future 40 award'," he said. "This is definitely home. Especially with Ayden, and the addition of Little Grouse, and I met my girlfriend here," Cho explained of his new-found love of the prairies. Perhaps, Cho's comfort in Saskatoon is most clearly reflected in the name of Little Grouse on the prairie, named for hit 1970s television series, Little House on the Prairie, and Grouse for Saskatchewan's official bird, a Sharp-tailed Grouse. Know someone who is doing great things? Nominate them for CBC Future 40.